While sitting in the bleachers of a Soap Box Derby in the 1950s, Mary Garber overheard two African-American boys in the following exchange: “See that lady down there?” asked one boy. “That’s Mary Garber. She doesn’t care who you are, but if you do something good, she’ll write about you.” Mary Garber was a pioneering sports journalist in a time where women were rarely a part of the newspaper business. Women weren’t even allowed to sit in the press boxes at sporting events, so Mary was forced to sit with the coaches’ wives. But that didn’t stop her. 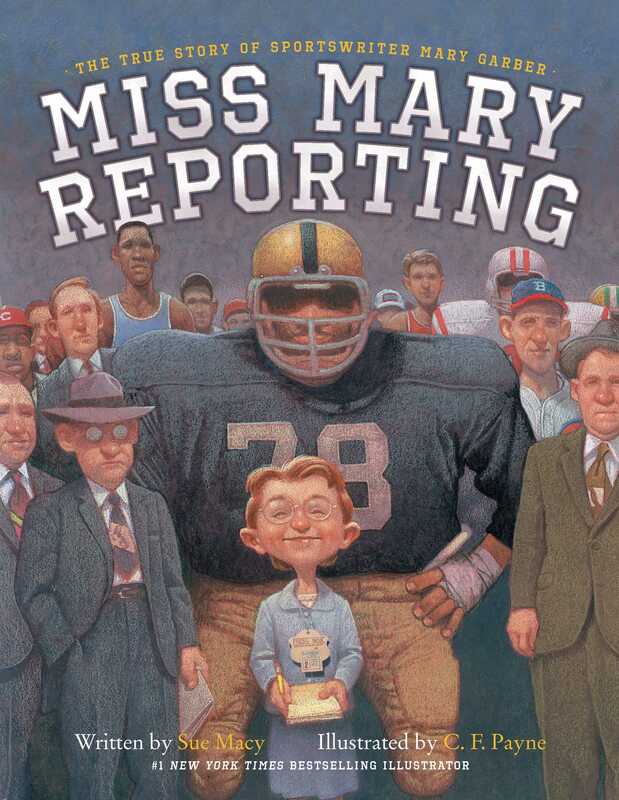 In a time when African-American sports were not routinely covered, Mary went to the games and wrote about them. Garber was a sportswriter for fifty-six years and was the first woman to receive the Associated Press Sports Editors’ Red Smith Award, presented for major contributions in sports journalism. And now, every year the Association of Women in Sports Media presents the Mary Garber Pioneer Award in her honor to a role model for women in sports media. Visit C. F. Payne’s website. Book jacket image and book description courtesy Simon & Schuster. Used with permission. Toolkit to come.